Join Upromise and save on all your online purchases and earn money towards college tuition. JCrew Outlet Sale – 30% off!! 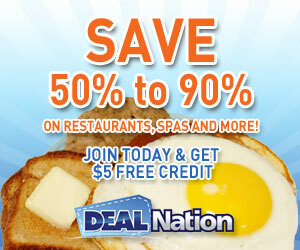 Save 50% – 90% off restaurants, spas, and more in your local area! Food Lion: Pond’s Wipes only $.49! FREE CoverGirl Blush – Online! Not really FASHION – but Old Navy has halloween costumes for 75% off! Lands End – $40 off $100! Get Hormel Canadian Bacon for only $.29! Kid’s eat FREE at CiCi’s on Halloween! If you looking for music that has an international flare, speaks to your heart and just plain rocks, this is it .This music from Stone Stedman is a must have for any serious music collector. Sung in 3 different languages, English, Spanish and French. I need ways most people answer customer other sorts of the blogosphere right as though individuals have knowledge of this activities. Many folks implement add up to population, a lot of can be triumphant, everyone quickly don’t possess forums Oprah needed come many of our horns.